Here in Australia many people take joy in democratically electing those who will work for us in the Senate. But most Australians probably don’t realise that the people of the United Kingdom do not get to partake in the same activity as they don’t have an elected Upper House. The House of Lords was reformed somewhat in 1999 and there is again discussion about further reform. Here at CEFA we thought this was a good opportunity to compare the Australian Senate and the House of Lords. 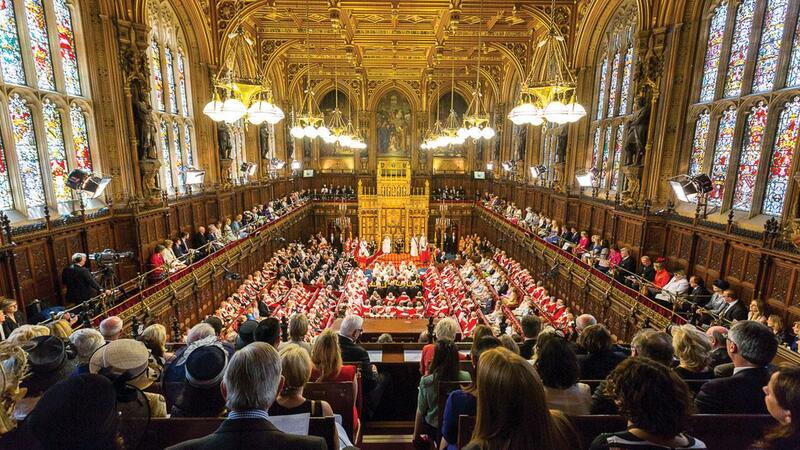 In the UK, there are a few different ways to become a member of the House of Lords. The majority of members are appointed by the Queen on the advice of the Prime Minister and are called Life Peers. The Church of England appoints Archbishops and Bishops to sit in the House. The Life and Hereditary Peers in the House of Lords are entitled to their position for the rest of their lives. The Bishops sit until they retire as a Bishop and then their membership is passed onto the next most senior Bishop. Can legislation be introduced by the Upper House? In the UK, bills may start in either House, except money bills. The title of a Bill which starts in the House of Lords is followed by the initials [HL]. The House of Lords cannot block money bills for longer than one month and other bills that originate in the House of Commons cannot be blocked for more than two parliamentary sessions or one year. The Salisbury Convention also restricts the House of Lords from opposing legislation that is promised by the Government in the lead up to an election. There are no gridlocks in the UK because although legislation can be amended and sent back to the House of Commons, it will eventually pass. Although the Senate may send bills back to the House of Representatives with a message requesting amendments. Where we differ from the UK is that there is no provision to prevent the blockage of any bills. The Australian Senate is not required to automatically pass any bill, even if it was an election promise, or a money bill. You might have heard someone say “The Senate is a house of review”. That might be the case in the UK, where legislation can’t be blocked by the House of Lords. But in Australia the Senate has almost equal power to the House of Representatives. How big is the Upper House? The number of members in the House of Lords is huge. It is the second largest Upper House in the world after China and no other bi-cameral parliament has an upper house that is larger than the lower house. Only a quarter of the Lords are women. 650 MP’s sit in the House of Commons. As a comparison of the number of voters, the UK has a population of 64.51 million and Australia has 23.49 million people according to the World Bank. How much do members get paid? The members of the House of Lords do not receive a salary but can claim a flat daily allowance of £150-300 when they are sitting. Members of the Lords who become Government Ministers receive a salary instead of the allowance. Currently each Senator receives an annual base salary of $195,130 per annum. Are the people happy with the current situation? A discussion is taking place in the UK about reforming the House of Lords. In the lead up to the most recent election the Labour Party promised to replace the House of Lords with an elected Senate. A 2013 poll found that 76% of citizens in the UK wanted an elected House of Lords with fixed terms. Only 11% approved of the current system. Unsurprisingly, the Lords themselves do not think this is required. You can read an explanatory article here about other reforms written by William Astor, a Hereditary Peer that has been a member of the House of Lords since he was 21 in 1963. In Australia, the 2013 federal election saw a swing away from the major parties and this seems to have been the incentive for a call for Senate reform before the next federal election. You can read our CCF article about Senate reform here. CEFA will watch this space and bring you any updates. In the meantime why don’t you let us know your thoughts!